Hvar is such a beautiful Croatian island that has something for everyone. 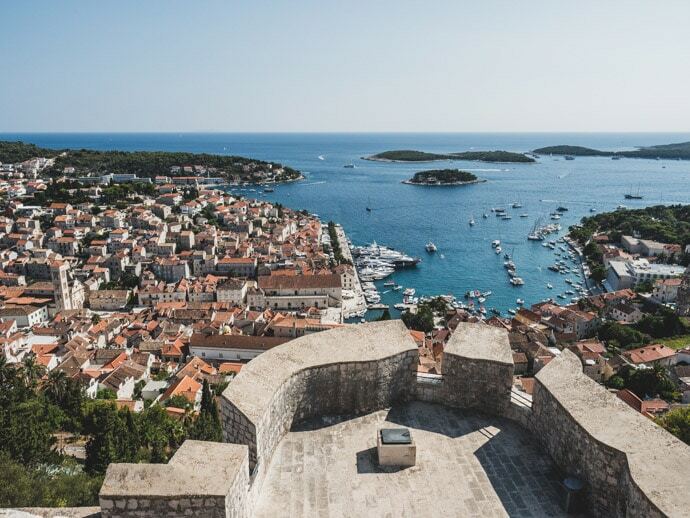 Although it can be known for its nightlife, there’s so much more to Hvar than just that. 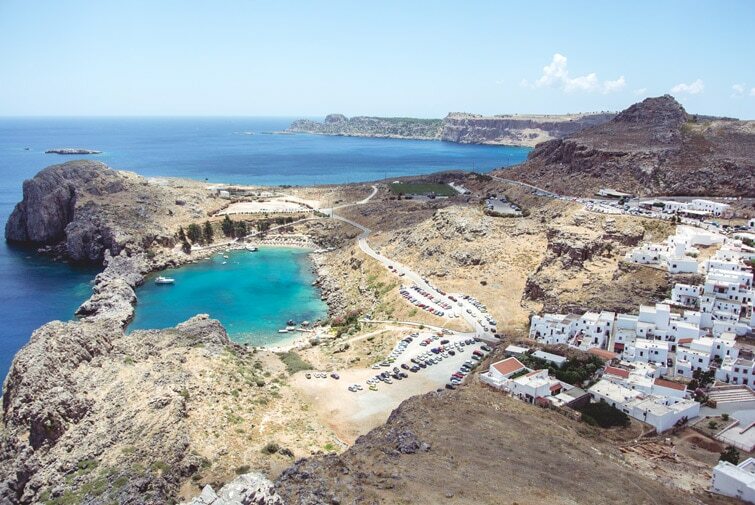 From medieval towns to clear blue water, stunning landscapes and delicious food. 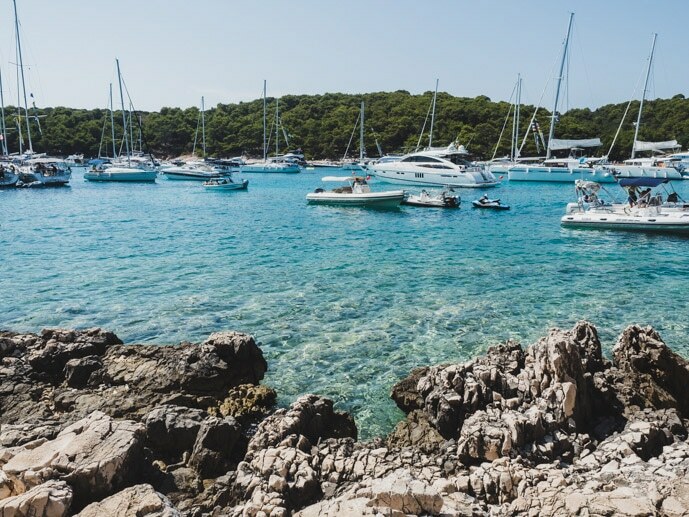 Here’s our guide to Hvar Island so you can enjoy the best of Hvar + printable guide to Hvar at the end of this post. We stayed in Hvar Town and most of the things we did were either in Hvar Town or easy to get to from there. 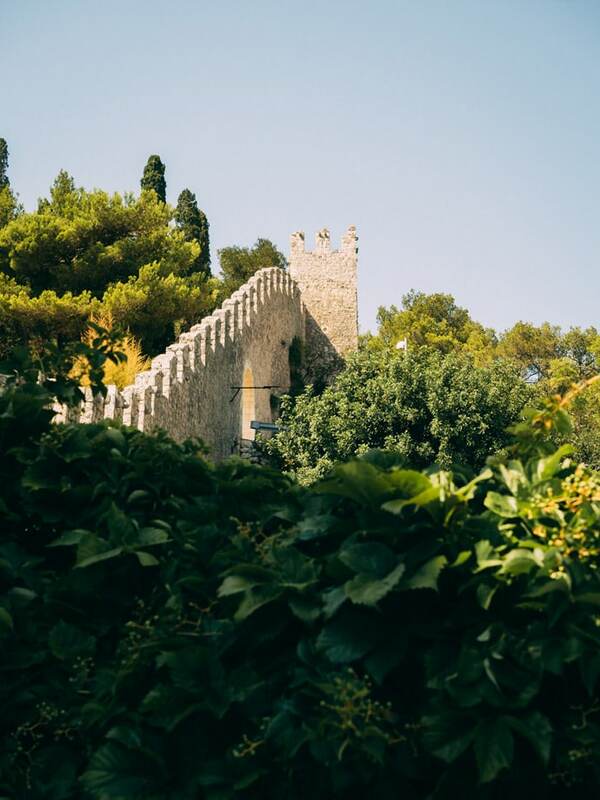 But you can also hire a car and explore the many different beaches and villages on the island, such as Stari Grad and Jelsa. In Hvar Town itself, we loved walking up to the top of the Hvar Fortress. The climb isn’t as far as it looks and the view from the top is stunning, looking over Hvar Town and the harbour. 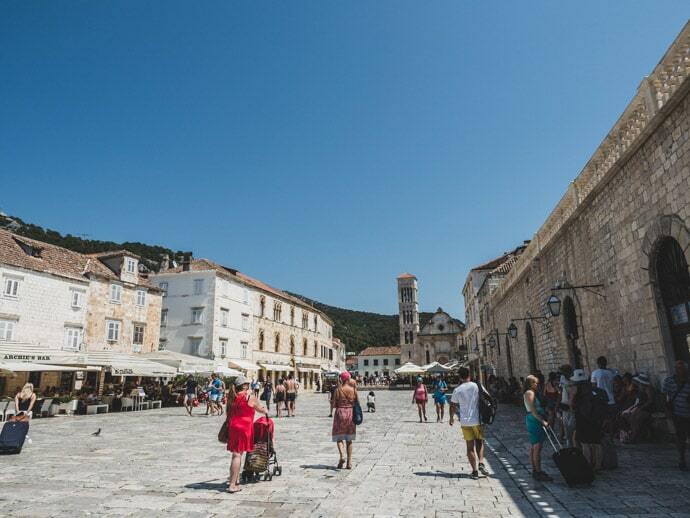 St Stephens Square is the main square of Hvar Town and its’ where you will find St Stephens Church. 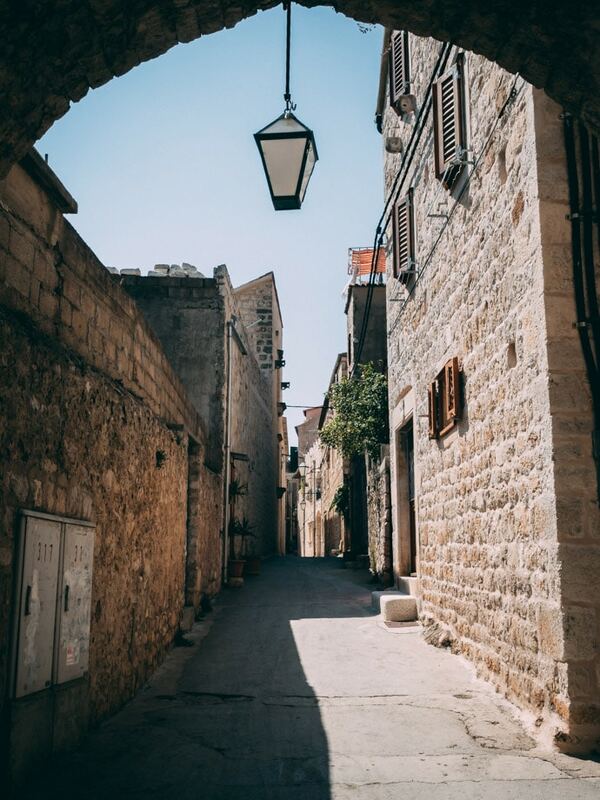 Make some time for exploring the beautiful medieval streets of Hvar Old Town. Visit the beautiful Franciscan Monastery or simply swim at the beach in front of it. 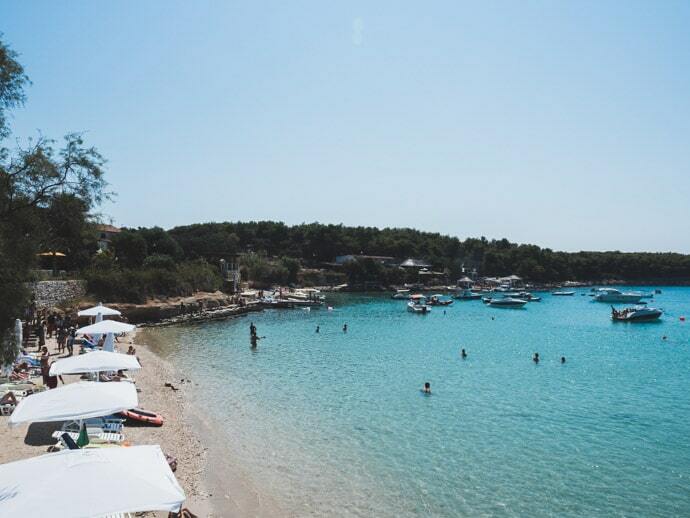 Other beaches in Hvar worth a look include Dubovica, Robinsons Bay, Mekicevica Beach, Zarace Beach and Mlini Beach on the Pakleni Islands. One of our favourite things to do in Hvar was to catch a taxi boat over to the Pakleni Islands. We went to Palmizana on Sveti Klement which was so beautiful albeit a little crowded in parts. Some of the other Pakleni Islands you can visit include Jerolim, Soline, Marinkovac and Perna. 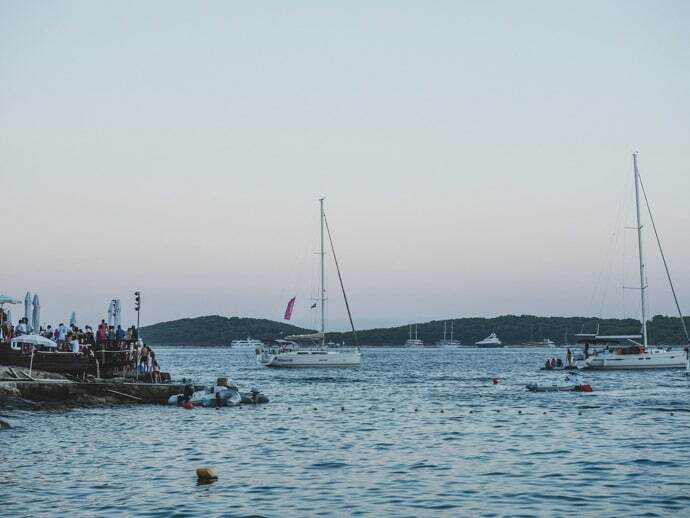 In terms of Hvar nightlife, there are some great options, with some of the most popular bars and clubs being Carpe Diem and Hula Hula Bar. Hula Hula Bar is a great spot for sunset. One of the best restaurants in Hvar Town is Dalmatino. 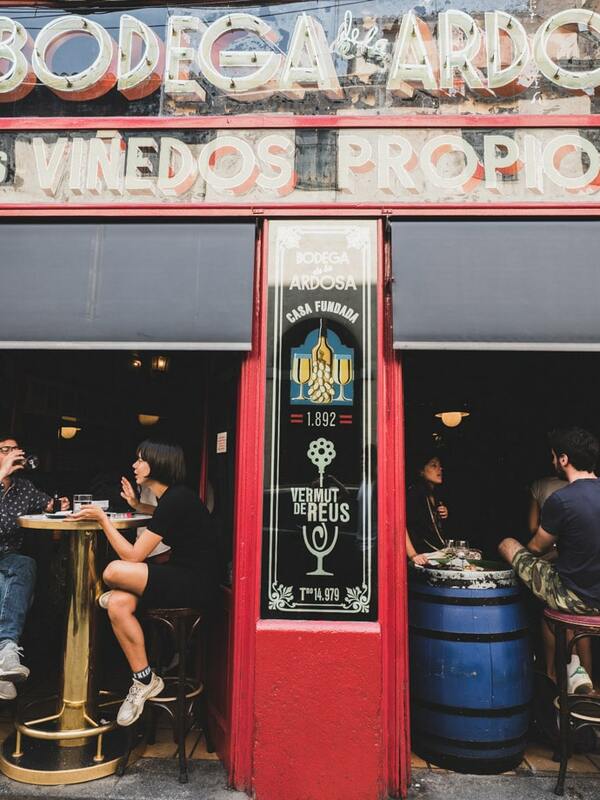 It has such a lively energy, friendly service and delicious food. Another great option, particularly for lunch, is Fig Cafe Bar. The food is refreshing and delicious. For a special lunch that you’ll never forget, head to Zori on the Pakleni Islands. Here you can eat delicious seafood whilst looking out at the sparkling blue water. 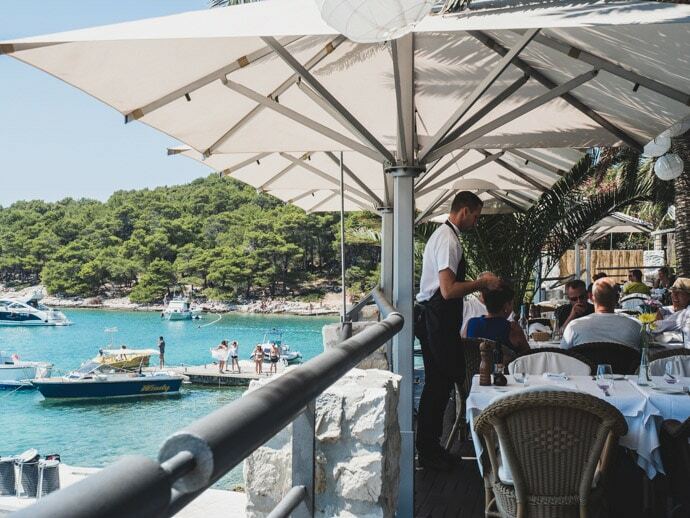 See all of our favourite places to eat in Hvar here. Hvar is also home to some great local wine, including Plavac Mali for red wine lovers and Bogdanjusa for white wine. A great place to try them is Central Park Club in Hvar Town. Adriana Hvar Spa Hotel – Four-star hotel with a great location in Hvar Town. 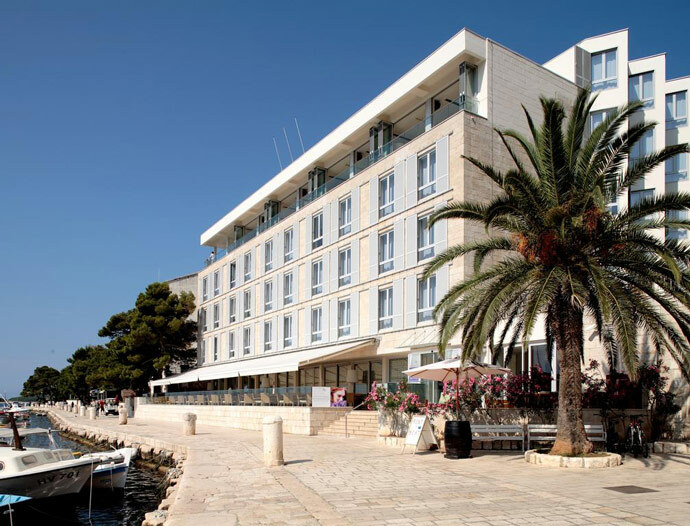 Amfora Hvar Grand Beach Resort – Four-star hotel in a bay near Hvar Town. Hvar Riva Rooms – Beautiful rooms right near the port and centre of Hvar Town. B&B Heritage Villa Apolon – A beautiful heritage property in Stari Grad. 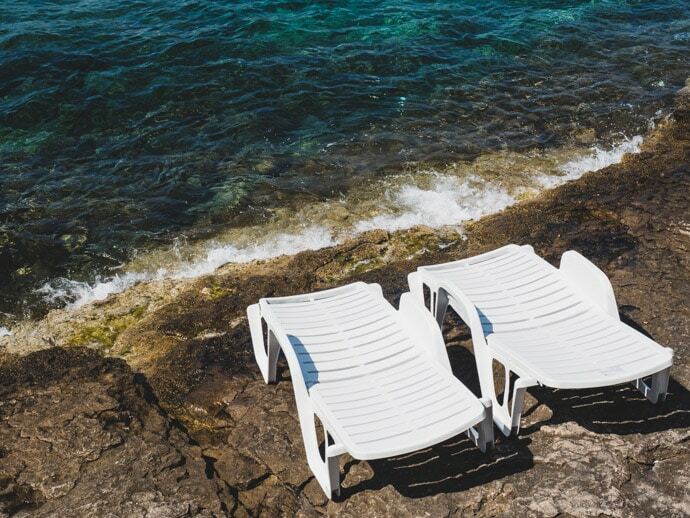 For more of the best hotels in Hvar Town or Stari Grad or smaller villages see our Hvar Accommodation Guide. 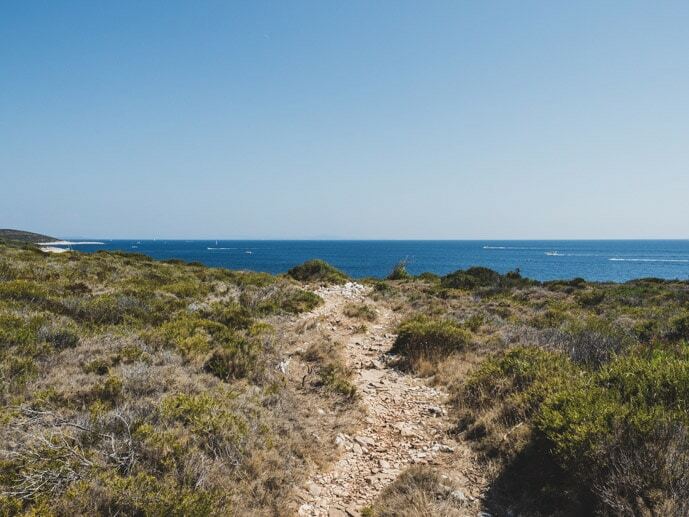 How to get to Hvar? The best way to get to Hvar is via ferry. If you are coming from another country, then you would first fly to Split and get a ferry from there. If you’re already in Croatia, you can get a ferry from Split or other islands nearby. We took the Jadrolinja ferry from Korcula, Croatia. If possible, I would book your ferry tickets in advance online. 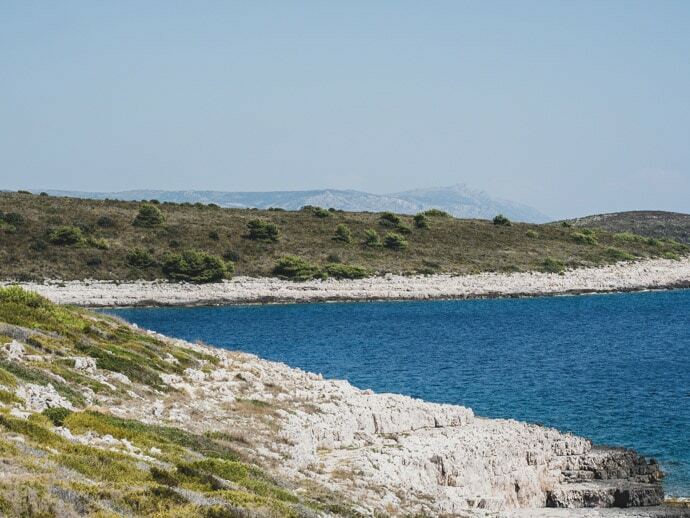 Another option to reach Hvar would be on a private/tour sailing boat, but this would be more of an activity in itself rather than just pure transport, and you would also be paying for the experience too. You can get around Hvar Town by walking and you can reach other areas on the island by public bus, taxi, hiring a car or doing a tour. Some areas can be reached by taxi boat such as the Pakleni Islands. 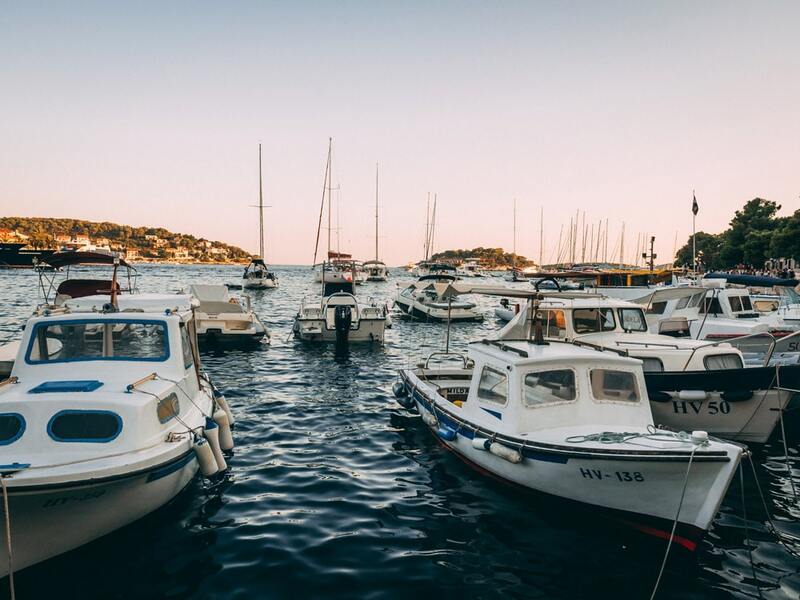 If you want to minimise the need for too much transport, then base yourself in Hvar Town, as there are plenty of things to do and places to eat here. What is the best time to visit Hvar Island? 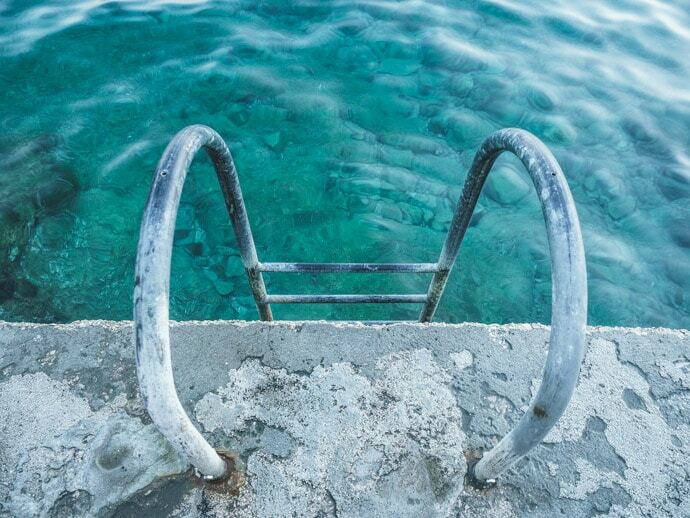 We visited Hvar in August, and although the weather was hot it was perfect for swimming. August is also peak season along with the rest of summer, so expect lots of crowds. So if you’re after hot days, swimming and a buzzing energy, then July and August are for you. If you still want nice weather but fewer crowds, then the shoulder season of May, June, September and early October are also great. 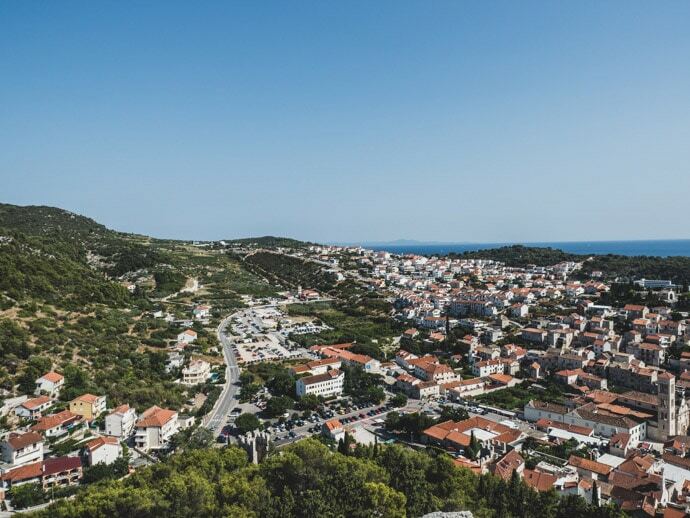 There are many places to visit from Hvar, including the many villages on Hvar Island itself, such as Stari Grad, Jelsa, Sveta Nedjelja, Humac, Milna Vrboska and Gromin Dolac. You can spend a beautiful day at the Pakleni Islands, or you can even visit nearby islands such as Brac. 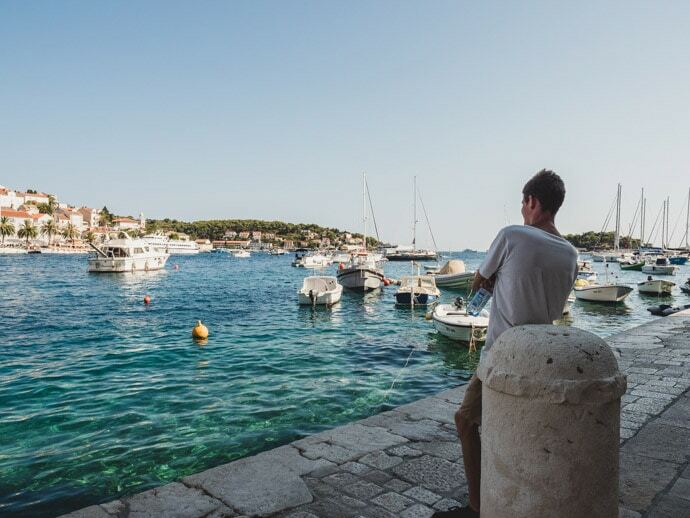 How many days should you stay in Hvar? 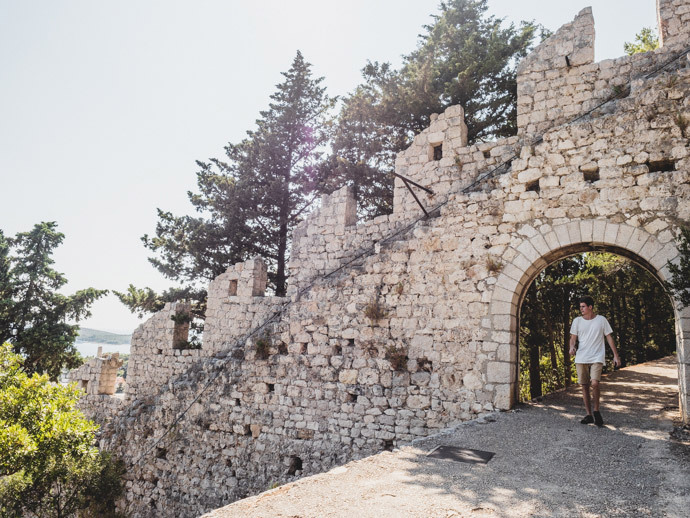 We stayed in Hvar for four nights and this was a great amount of time to wander Hvar Town, relax, and spend the day exploring the Pakleni Islands. As a minimum, I would recommend two nights, but to make the most of it I would recommend four nights. 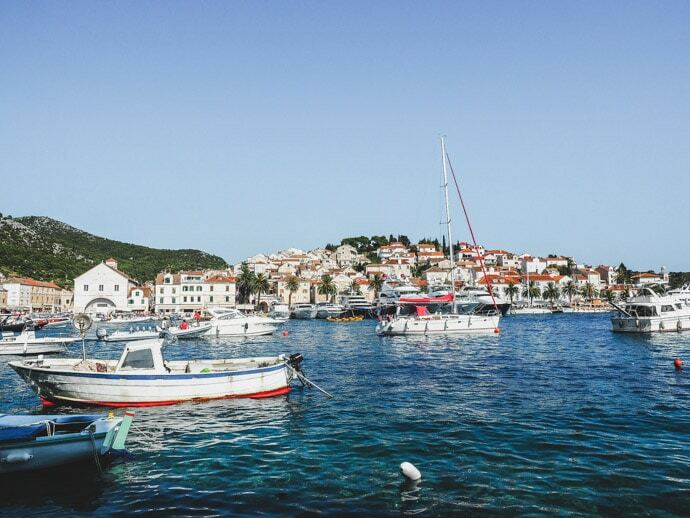 If you have the time, you could spend a week so you could explore more of Hvar Island too. If you’re visiting in peak season, definitely book your accommodation and ferry tickets online, the earlier the better. When booking ferry tickets, keep in mind some ferries go to Hvar Town port and some go to Stari Grad port. Pick the one that is most convenient for the location you are staying. If you’re having difficulty with finding accommodation, try Airbnb as there are quite a few good options. For a first time trip to Hvar, Hvar Town is a great base. For more information visit the Hvar tourism board and Croatia tourism boards. 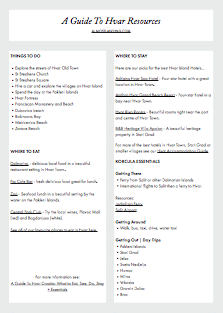 Get your free printable guide to Hvar resources here.